TURBINE MODEL NUMBER : 7668. TURBINE HOUSING: T4 FLANGE /. 96 AR. TURBINE IN / OUT : 3" V BAND. AND WE WILL DO OUR BEST TO FIX THE PROBLEM. TURBINE HOUSING: T4 FLANGE /. 81 AR. AND WE WILL DO OUR BEST TO FIX THE PROBLEM. TURBINE FLANGE : T3?. STANDARD 5 BOLT FLANGE. (BALL BEARING). BALL BEARING. AND WE WILL DO OUR BEST TO FIX THE PROBLEM. BALL BEARING (CUSTOM). TURBINE FLANGE : T3?. 4 BOLT DOWNPIPE FLANGE. (BALL BEARING). BALL BEARING. AND WE WILL DO OUR BEST TO FIX THE PROBLEM. 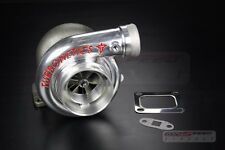 TURBONETICS TNX-30 / 48 BILLET COMPRESSOR WHEEL DUAL BALL BEARING TURBO ( 65 A/R). (DUAL BALL BEARING BILLET WHEEL). COMPRESSOR WHEEL : BILLET COMPRESSOR WHEEL. BILLET COMPRESSOR WHEEL. DUAL BALL BEARING. COMPRESSOR WHEEL : BILLET COMPRESSOR WHEEL. BILLET COMPRESSOR WHEEL. COMPRESSOR WHEEL SIZE : 78 / 60 MM. TURBINE WHEEL SIZE : 60 / 48MM. AND WE WILL DO OUR BEST TO FIX THE PROBLEM. COMPRESSOR WHEEL : BILLET COMPRESSOR WHEEL. BILLET COMPRESSOR WHEEL. COMPRESSOR WHEEL SIZE : 67 / 52 MM. TURBINE WHEEL SIZE : 60 / 48MM. AND WE WILL DO OUR BEST TO FIX THE PROBLEM. COMPRESSOR WHEEL : BILLET COMPRESSOR WHEEL. BILLET COMPRESSOR WHEEL. COMPRESSOR WHEEL SIZE : 62 / 48 MM. TURBINE WHEEL SIZE : 60 / 48MM. AND WE WILL DO OUR BEST TO FIX THE PROBLEM. 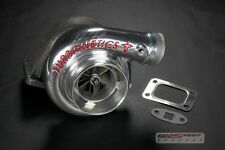 TURBONETICS TNX-30 BILLET COMPRESSOR WHEEL DUAL BALL BEARING TURBO ( 85 A/R). (DUAL BALL BEARING BILLET WHEEL). COMPRESSOR WHEEL : BILLET COMPRESSOR WHEEL. BILLET COMPRESSOR WHEEL. DUAL BALL BEARING. 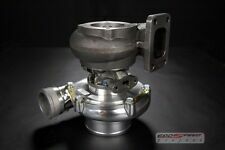 TURBONETICS TNX-30 BILLET COMPRESSOR WHEEL DUAL BALL BEARING TURBO ( 65 A/R). (DUAL BALL BEARING BILLET WHEEL). COMPRESSOR WHEEL : BILLET COMPRESSOR WHEEL. BILLET COMPRESSOR WHEEL. DUAL BALL BEARING. 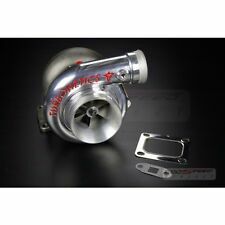 TURBONETICS TNX-30 / 48 BILLET COMPRESSOR WHEEL DUAL BALL BEARING TURBO ( 85 A/R). (DUAL BALL BEARING BILLET WHEEL). COMPRESSOR WHEEL : BILLET COMPRESSOR WHEEL. BILLET COMPRESSOR WHEEL. DUAL BALL BEARING. COMPRESSOR WHEEL : BILLET COMPRESSOR WHEEL. BILLET COMPRESSOR WHEEL. COMPRESSOR WHEEL SIZE : 72 / 56 MM. TURBINE WHEEL SIZE : 60 / 48MM. AND WE WILL DO OUR BEST TO FIX THE PROBLEM. 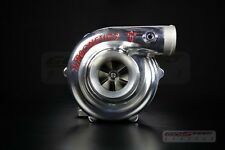 TURBONETICS TNX-30 / 52 BILLET COMPRESSOR WHEEL DUAL BALL BEARING TURBO ( 85 A/R). (DUAL BALL BEARING BILLET WHEEL). COMPRESSOR WHEEL : BILLET COMPRESSOR WHEEL. BILLET COMPRESSOR WHEEL. COMPRESSOR WHEEL SIZE : 67 / 52 MM. 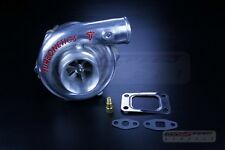 TURBONETICS TNX-30 / 52 BILLET COMPRESSOR WHEEL DUAL BALL BEARING TURBO ( 65 A/R). (DUAL BALL BEARING BILLET WHEEL). COMPRESSOR WHEEL : BILLET COMPRESSOR WHEEL. BILLET COMPRESSOR WHEEL. COMPRESSOR WHEEL SIZE : 67 / 52 MM.